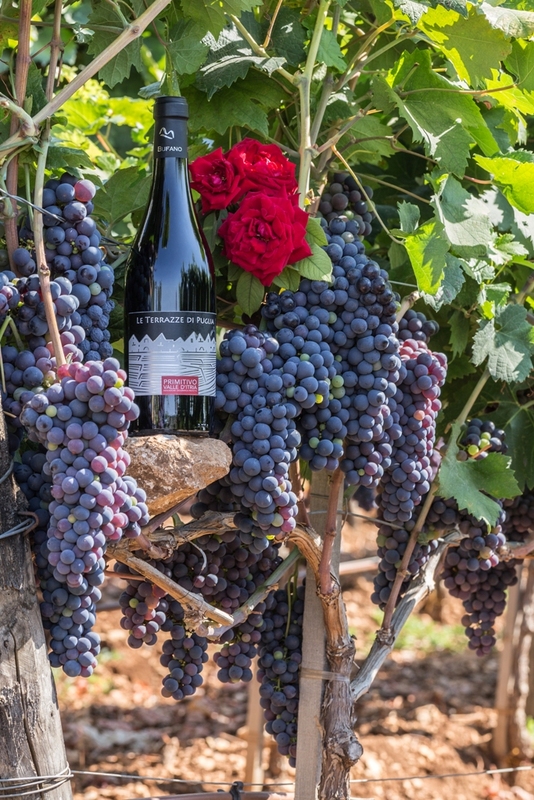 Azienda Agricola Bufano rises up in the charming landscape of Valle d’Itria. 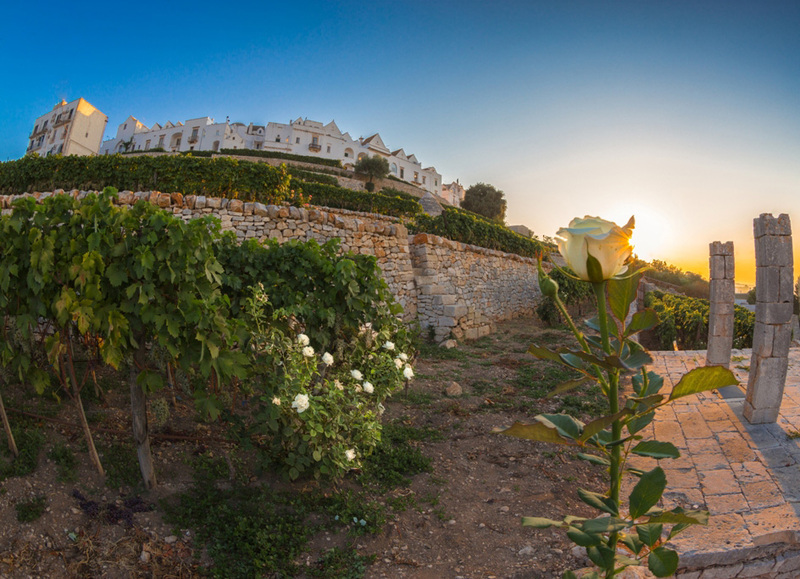 Their plots of land are situated in the Murgia dei Trulli, in the Natural Park Terra delle Gravine and in Salento. Thanks to a long tradition and experience in this sector, the farm Bufano produces wines of certified quality. The use of roses in vine helps protect the vine against parasitic and cryptogamic attacks, thus giving a more genuine product without being overly treated. Moreover the rose, thanks to its aromatic bouquet, gives the ripening grapes those scents that develop later in wines such as sparkling wines. 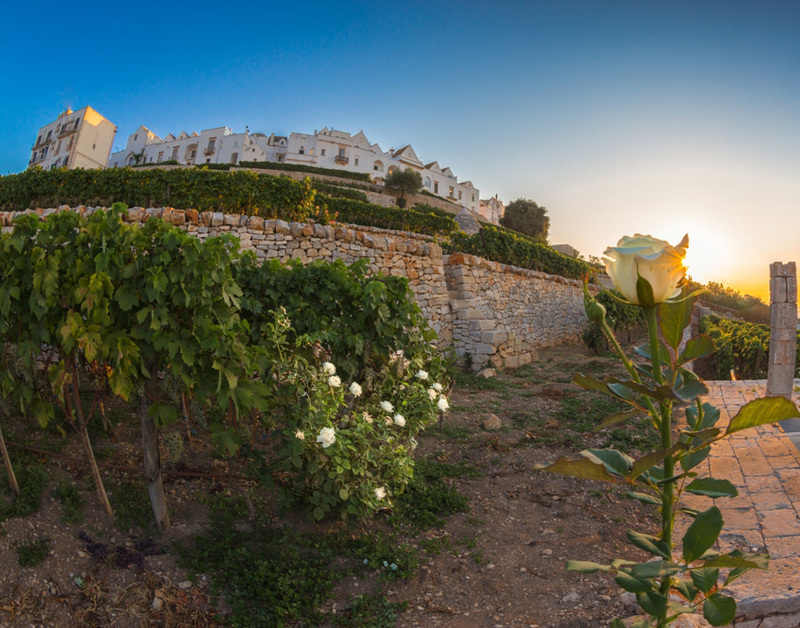 Business core consists of the vineyards planted on the historical terraces that embrace Locorotondo. 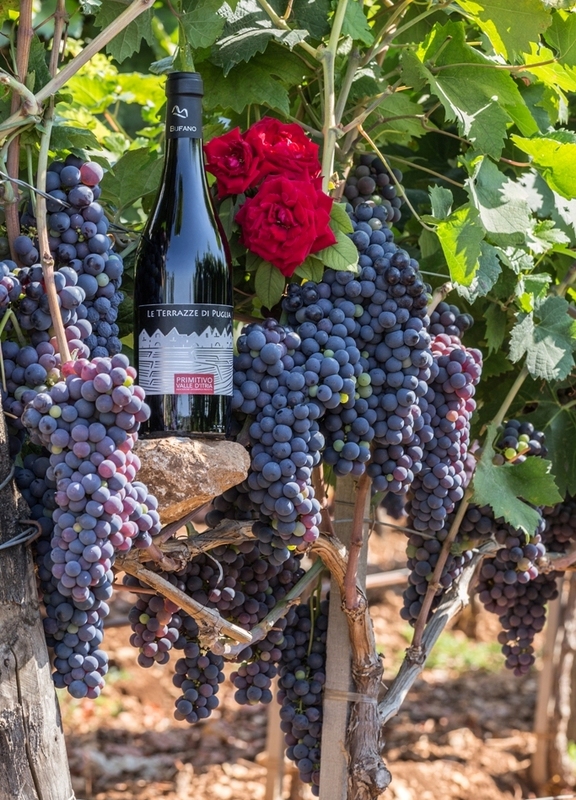 Primitivo and Minutolo grapes grow in harmony, respecting the tradition, on the terraces that extend from one end to the other of the old town, in the allure of the colorful and aromatic roses. The charm of the panorama that overlooks the whole Valle d’Itria is a delight for visitors. Slightly sweet sparkling wine Martinotti method, Primitivo 100%, 11 - 11.5% alc.